The 2017 Capitol Hill Chamber Music Festival presents three 2017 performances. Celebrate the 250th anniversary of the lifetime of Georg Philipp Telemann, history's most prolific composer, in an all-Telemann Telemann Celebration on Saturday, July 29, 2017 at 7:30 PM. Baroque in Transition: 1600-1700 illuminates a century of remarkable contrast and evolution, with renaissance and baroque instruments and tonal palettes, Italian and French styles, and Frescobaldi, Corelli and Louis XIV, all between 1600 and 1700, on Thursday, August 3, 2017 at 7:30 PM. Finally, the harmonically adventurous propensities of chess master and opera composer François Philidor are revealed in context of earlier gems by Heinichen and Pergolesi in The Art of Modulation on Saturday afternoon, August 5, 2017 at 3:00 PM. All concerts take place at St. Mark's Episcopal Church at 3rd & A Streets, SE in Washington, DC behind the Library of Congress on Capitol Hill. Certain performances will be repeated in Annapolis and Baltimore. Georg Philipp Telemann's self-confident, effusive and humorous nature and extraordinarily productivity won him the universal respect of his contemporaries. Born four years before Johann Sebastian Bach, Telemann earned three times Bach's salary and was easily the most prolific and well known composer in Germany during the 18th century. In celebration of the 250th anniversary of his lifetime, this program exhibits the profound depth and diversity of expression that flowed from the inexhaustible imagination of this creative whirlwind, with a contrasting sampling of Telemann's numerous solos, duos and trios for flute, violin and harpsichord. Trio III in G Major from "Six Trio"
This program explores the broad tonal and stylistic spectrum and pronounced stylistic evolution of the 17th century, from works harkening back to the 16th century to forward looking, increasingly chromatic early 17th-century Italian trios for 2 instruments and basso continuo, to a distinct universe of sound emanating from the court of Louis XIV in France, alongside virtuoso works by Arcangelo Corelli from the same period. We think of baroque music as having evolved around 1600 with innovative compositions by Caccini and others, but some instruments, notably the transverse flute, lagged behind, and underwent a drastic evolution later in the century to suite the expressive expectations of the day. This program provides an opportunity to hear both "renaissance" and 'baroque" flutes in the context of evolving musical landscapes, which differed greatly in France and Italy. Tarquinio Merula ~ Canzon 3 "la Bulgarina"
Giovanni Legrenzi ~ Sonata Prima "La Cornara"
In The Art of Modulation, François André Danican Philidor explores the artful transitioning between musical tonalities and modes of expression. The son of Louis XIV's celebrated music librarian, Philidor (1726-1795) was world chess champion for almost 5 decades, from 1747 to 1795. His "Analyse du jeu des Échecs" was a standard chess manual for over a century. Philidor's compelling set of six innovative Sinfonias comprising The Art of Modulation (1755) demonstrate more than just his technical mastery, as in Berlin in 1751 when he simultaneously played 3 chess masters simultaneously blindfolded and won all three games. He develops new modes of musical expression, building an intense, clear harmonic environment that twists and modulates, transporting and astonishing the listener in delightful and unexpected ways. 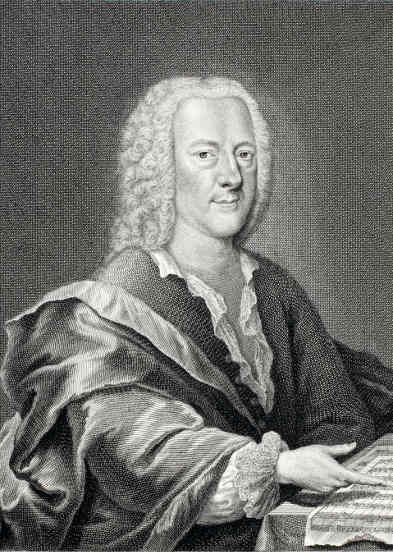 Philidor was known primarily as a composer of opéra comique, and "The Art of Modulation" is his major surviving instrumental work. Now in its 17th year, the Capitol Hill Chamber Music Festival has since 2000 presented chamber music by familiar as well as little-known composers from the Renaissance through the present on Capitol Hill in period instrument performances which shed new light upon early performance practice as well as contemporary works. Unpublished works from the Library of Congress are given particular attention, and many have received their modern day premieres during these concerts, in addition to premieres of works by Slovenian composers. The Capitol Hill Chamber Music Festival is a nonprofit corporation in the District of Columbia. 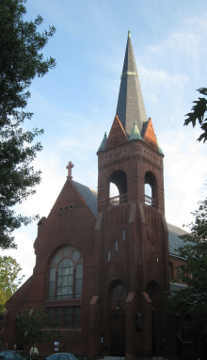 All programs take place at St. Mark's Episcopal Church at 3rd & A Streets, SE in Washington, DC, just behind the Library of Congress on Capitol Hill. The suggested donation (a free will offering) is $15 or $20 or $25. Students 18 years of age and under are free. Advance tickets are available at chcmf.bpt.me and at the door. For further information please call St. Mark's at (202) 543-0053 or email chcmf@aol.com. "Baroque flutist Jeffrey Cohan and harpsichordist George Shangrow give new meaning to the intimacy implicit in the genre of chamber music... They have forged not only an exquisitely subtle collaboration but also a common scholarly interpretation of how Bach would have had the music performed. "They responded intuitively to each other's rhythmic elasticity and echoed each other's elaborate ornamentations with what sounded like spontaneous inspiration... Almost as impressive was the silent attentiveness that their musicmaking commanded. The second of two concerts in this year’s Capitol Hill Chamber Music Festival, held at St. Mark’s Episcopal Church Sunday night, was devoted to music from the Prussian court of Frederick the Great. The theme is a timely one since Germany celebrates this year the 300th birthday of the Prussian king who, besides being a brilliant military strategist, was also a passionate musician. Fittingly, the festival’s artistic director, Jeffrey Cohan, played a baroque flute that is a replica of an instrument made for Frederick by his teacher, Johann Joachim Quantz, now in the collections of the Library of Congress. Cohan is a wonderful player who exploits all the richly expressive potential of the baroque wooden flute with ease and subtlety. With his partners, harpsichordist Joseph Gascho and cellist Gozde Yasar, Cohan played sonatas by Carl Philipp Emanuel Bach, Georg Benda and Quantz — all musicians employed by Frederick’s at his Potsdam palace, Sanssouci — as well as a sonata by the monarch himself. 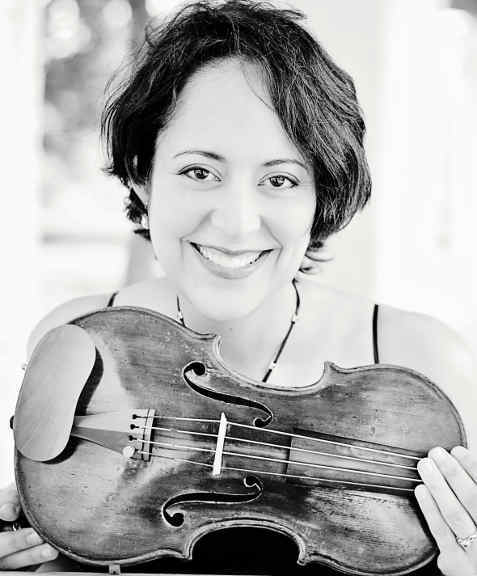 RISA BROWDER’s interest in historical performance on violin, viola and viola d’amore ranges from the seventeenth century to the romantic era. After graduating from Oberlin Conservatory and completing graduate studies at the Royal College of Music in London, and the Schola Cantorum in Basel, Ms. Browder began her professional career in Europe with Academy of Ancient Music, English Concert, Les Musiciens du Louvre, Purcell Quartet, and London Baroque among others. She has performed as soloist with the Folger Consort, Washington Bach Consort (concertmaster), Capriole, Boston Bach, Smithsonian Chamber Players, and REBEL. Ms. Browder is co-director of Modern Musick, a period instrument chamber orchestra which debuted in 2001 to high acclaim in Washington, DC. Recording credits include Dorian, Chandos, Deutsche Grammophon, Virgin Classics, and EMI. She also enjoys teaching and is on the faculty of the Peabody Conservatory where she teaches baroque violin and viola and together with her husband, John Moran, directs the Baltimore Baroque Band. CARRIE KRAUSE, baroque violinist, resides as concertmaster of the Bozeman Symphony (MT) and New Trinity Baroque. She performs regularly as soloist and ensemble member for ensembles throughout the United States, including Apollo's Fire (Cleveland), Seattle Baroque Orchestra, Pacific Baroque, the San Francisco Bach Choir, Chatham Baroque, New York State Baroque, Portland Baroque, Passamezzo Moderno, Baroque Chamber Orchestra of Colorado, Clarion, American Classical Orchestra, and Concert Royale in New York. Festival Engagements include the Leipzig Bach Festival as soloist, the Belgrade Early Music Festival in Serbia, Sastamalla Gregoriana in Finland, the Utrecht Early Music Festival, Festival dans les Jardins with William Christie, and the BBC Proms. Carrie has worked under such conductors as Jordi Savall, Ton Koopman, Richard Egarr, Nic McGegan, and Masaaki Suzuki. Carrie received degrees from Carnegie Mellon under Andres Cardenes and a masters degree from the Cleveland Institute of music in violin performance and Suzuki Pedagogy, and recently graduated with a second masters from the Juilliard School in Historical Performance. She resides in Bozeman, MT, where she performs with the Meritage String Quartet and teaches a studio of 35 students. An avid adventurer, Carrie placed first in her age group in the Springfield Missouri Marathon and second in her age group in the Old Gabe 50k Trail race. DONGSOK SHIN, harpsichordist, was born in Boston and played the modern piano from the age of four. Since the early 1980's, he has specialized exclusively on harpsichord, organ, and fortepiano. 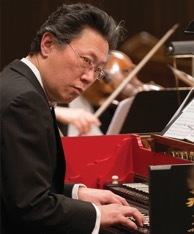 A member of the internationally acclaimed baroque ensemble REBEL since 1997 and a regular performer at the Carmel Bach Festival, Mr. Shin has appeared with the American Classical Orchestra, ARTEK, Concert Royal, Early Music New York, Carmel Bach Festival, Mark Morris Dance Group, the New York Philharmonic, the Orchestra of St. Luke’s and the Orpheus Chamber Orchestra. He has toured throughout North America, Europe, and Mexico, has been heard on numerous radio broadcasts nationally and internationally, and has recorded for ATMA Classique, Bridge Records, Dorian/Sono Luminus, Hänssler Classic, Helicon, Lyrichord, and Newport Classic. He was a founding member of the Mannes Camerata, receiving international critical acclaim as music director for their productions of early baroque operas, and he was a member, as well as a guest director of NYS Baroque in Ithaca, NY. In his spare time, he tunes, maintains and demonstrates antique keyboards at the Metropolitan Museum and for the Metropolitan Opera, and is well known as a recording engineer, producer and editor of numerous early music recordings. He is married to early keyboard player and director of ARTEK, Gwendolyn Toth, and they are the proud parents of three children. WILLIAM SIMMS, lute, theorbo & guitar, is an active performer of early music performing on guitar, lute and theorbo. He appears appears regularly with the Bach Sinfonia and performs with Apollo's Fire, Harmonious Blacksmith, Olde Friends Concert Artists and the Baroque Chamber Orchestra of Colorado. He has performed numerous operas, canatatas and oratorios with such ensembles as Cleveland Opera, the Baltimore Consort, Opera Lafayette, Opera Vivente, American Opera Theatre and the Washington National Opera. Venues include The National Cathedral, Museum of Fine Arts Boston, The Library of Congress, The Corcoran Gallery, Wolftrap and The Kennedy Center. This past summer Simms performed in Handel's Alcina at Wolftrap. He received a Bachelor of Music degree from the College of Wooster and a Master of Music degree from the Peabody Conservatory and serves on the faculties of Towson University, Mt. St. Mary's University, Interlochen Arts Camp as well as Hood College, where he is founder and director of the Hood College Early Music Ensemble. He has recorded for the Dorian, Centaur and Eclectra labels. MARLISA DEL CID WOODS is highly acclaimed as a solo artist, chamber musician, and orchestral violinist. She joined Pershing’s Own United States Army Orchestra in 2000 upon completion of her Master’s and Bachelor’s degrees at the Cleveland Institute of Music. Her versatility in different styles has been featured in many of the world’s leading venues - from Bluegrass at the White House to Brahms Double Concerto at the Kennedy Center. Ms. Woods has performed with the Cleveland Orchestra, National Symphony Orchestra, Concert Artists of Baltimore, Alexandria Symphony, National Gallery Orchestra, Canton Symphony, Youngstown Symphony, and the Erie Philharmonic. As a baroque violinist, she has performed with Washington Bach Consort, National Cathedral Baroque Orchestra, Bach Sinfonia, Apollo’s Fire, Opera Lafayette, Harmonious Blacksmith, and the Vivaldi Project. Ms. Woods can be heard on the Eclectra , Lyrichord, and Dorian labels. Her most recent recording with the Bach Sinfonia and acclaimed lutenist Ronn McFarlane was selected as CD pick of the week by WETA 90.9FM radio. Artistic Director and flutist JEFFREY COHAN has performed as soloist in 25 countries, most recently Ukraine, Slovenia and Germany, on all transverse flutes from the Renaissance through the present, and has won the Erwin Bodky Award (Boston) and the top prize in the Flanders Festival International Concours Musica Antiqua (Brugge, Belgium), two of the most important prizes for period instrument performance in America and Europe. He has premiered many concerti and other works by Slovenian and American composers. He also directs the Black Hawk Chamber Music Festival in Illinois and Iowa and the Salish Sea Early Music Festival. He can “play many superstar flutists one might name under the table” according to the New York Times, and is “The Flute Master” according to the Boston Globe.